Almost four years ago when I started by my business one of the first people that reached out to me was Shelli Lissick. 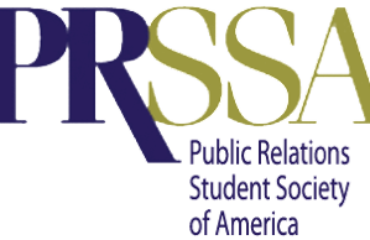 Shelli and I had gone to school together at Winona State University and both worked in the PR field. She introduced me to her friends, and business partners, Brian and Jen Bellmont, who owned a firm named Bellmont Partners. We started working together on a client engagement soon after. And, we continue to work together on a couple different client to this day. They’ve been invaluable partners–not just on the client side, but in terms of understanding how to run a business. I’m most certain I would not be where I am today without the help and encouragement from Brian, Jen and Shelli. I owe a lot to these three–and I’m happy to help share their story with you today, as real PR Rock Stars. 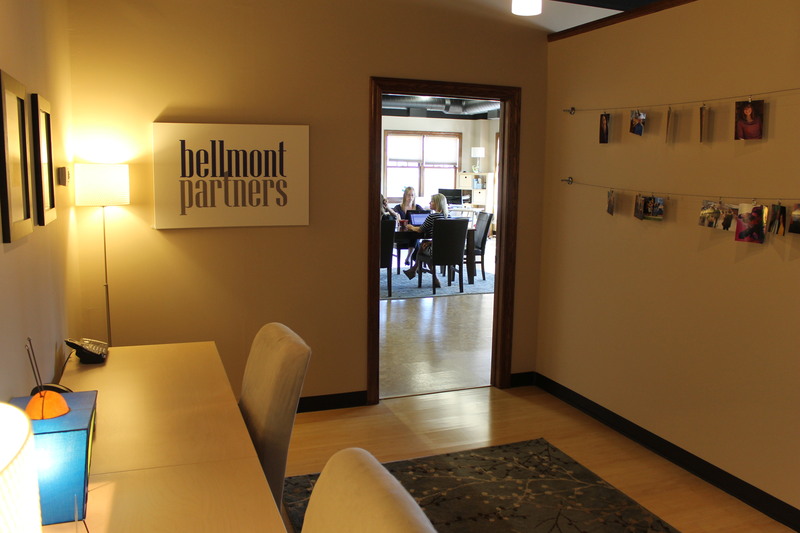 Bellmont Partners is a small PR agency based in Prior Lake. I like to give you guys grief that you’re based in northern Iowa. But, in all honesty, some people may not have heard of your fantastic shop. Can you tell us a little bit more about BP PR? BRIAN: Not everyone breaks out into hives when they cross the Minnesota River, Arik. But you’re right – we’re about 25 minutes from downtown Minneapolis, in lovely Prior Lake. We’re a six-person agency, with expertise in everything from PR strategy and planning to media relations and digital/social media to writing, special events and video production. We’ve got consumer and B-to-B clients of various sizes all over the country, in just about every industry you can imagine. And the lake is just a few minutes from our office. Brian, you and Jen started the agency years ago. Then, you brought Shelli on board. And over the past year you brought on a few more staffers to round out the team (Bridget Nelson Monroe, Tara Cegla and Sheri O’Meara, plus several freelancers). Talk a little about how your agency grew from the ground up. BRIAN: I hung out a shingle in 1996, after working as a TV reporter and producer, and then for a couple of PR agencies — including Weber Shandwick, where the three of us partners met. Jen joined in 2001 – we got married the same year. And Shelli started freelancing for us in 2001, and came aboard full-time in 2008. Since the beginning, we’ve focused on careful, thoughtful measured growth. We don’t hire for a specific position, but look for talented, passionate people who fit well with our culture and the way we work. Bridget, Tara and Sheri are excellent examples. In fact, we’re looking for experienced people with PR and digital backgrounds as we speak. You had a big year last year. You hired your first full-time employees, moved into a new office building, and brought on a number of new clients. Talk a bit about how you made that decision and how it’s already impacted the firm. JEN: We did take some major steps last year – not the least of which was planting our flag with office space. We’d been working from our respective homes for so long, it was quite a change, but it’s definitely been the right move and created a whole new energy for our team. We have an open office that functions a little like a newsroom – we always know what everyone’s working on and can easily throw out questions for collaboration. What’s especially great is we continue to work well semi-virtually, too. It’s important to us to be flexible enough to let our team members work from home or another location whenever they want to – they’re from all corners of the Twin Cities — so sometimes it just makes more sense not to come into the office, especially on particularly nasty winter days. SHELLI: Having an office does add credibility to what we do in the eyes of some clients, and I think more importantly it gives us a comfortable home base to work from. And there aren’t many Twin Cities agencies who can claim they have the penthouse suite of the only skyscraper in town (OK, it’s only three stories, but still). 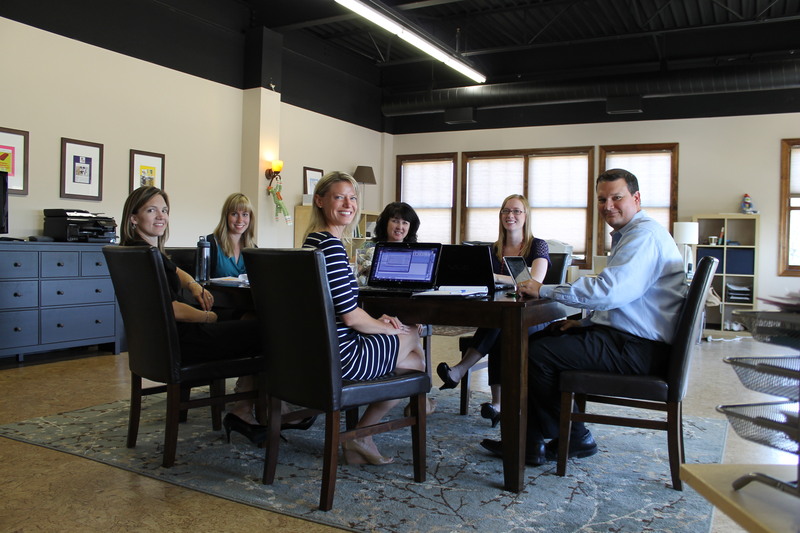 We enjoy inviting both current and prospective clients down to our little corner of the Twin Cities – they’re always surprised to find how close it really it is. While it was a huge, somewhat nerve-racking step at the time, we definitely made the right choice – investing in space and good people has led to more growth. As a small agency without a devoted “new business” person, how do you go about attracting new clients? 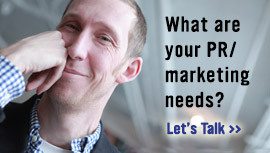 What do you do in terms of marketing for your own firm? BRIAN: We’ve been really lucky to grow our business almost exclusively through word of mouth. We try to do work we can be proud of, and work hard to go over and above. And our clients have made it clear that they appreciate what we’re doing by referring other companies to us. We’ve worked with some companies like Midwest Dairy Association and the Minnesota Landscape Arboretum, to name a few, for almost a decade – it’s been great. JEN: We’re a classic case of the shoemaker’s children having no shoes. We spend so much energy on our clients’ marketing, that we haven’t focused nearly as much on our own. We like to keep our heads down and focus on our clients’ goals and objectives, and we’ve been fortunate to achieve some really great results for them. That said, with our growth, we’ve been able to spend a little time sharing our work with others through traditional and social media, and plan to do more as we continue to grow. You all met at Weber Shandwick years ago—what are your individual backgrounds and how do those skill sets and backgrounds mesh with the rest of the team. And, how does it all contribute to your clients’ successes? SHELLI: All of us are writers – that’s a key element that everybody we work with brings to the table. Brian has written everything from celebrity interviews to restaurant reviews, and co-authored a book last year called Whatever Happened to Pudding Pops? — the sequel is coming out next summer. Sheri has edited several magazines, most recently Minnesota Business, and authored a series of books. Bridget used to write for Reader’s Digest. But from there, we all branch out in a million directions, and that’s what I think really benefits our clients. Brian is often called upon to produce videos. 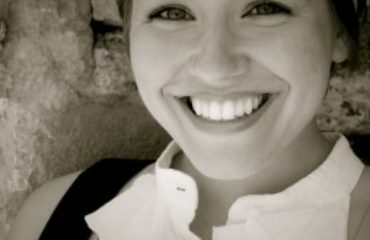 As Director of Digital and Social Media, Bridget spends a good portion of her time leading our clients’ online efforts. Jen is spectacular at leading client engagement and special events. I lead our media relations efforts. 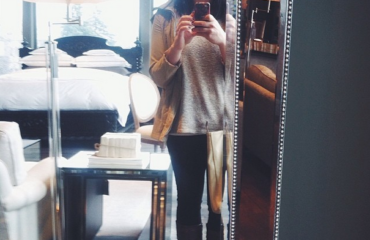 Tara is our utility player, concentrating on everything from media relations to special events to social media. And Sheri is our newest team member, and already putting her experience as an editor and project manager to work. While creativity is key, we always work to align creative ideas with our client’s business goals, focusing on delivering results. Most of our clients are of a size that we get to see the direct impact our work has on their business. That’s one of the exciting benefits of working with a smaller agency. 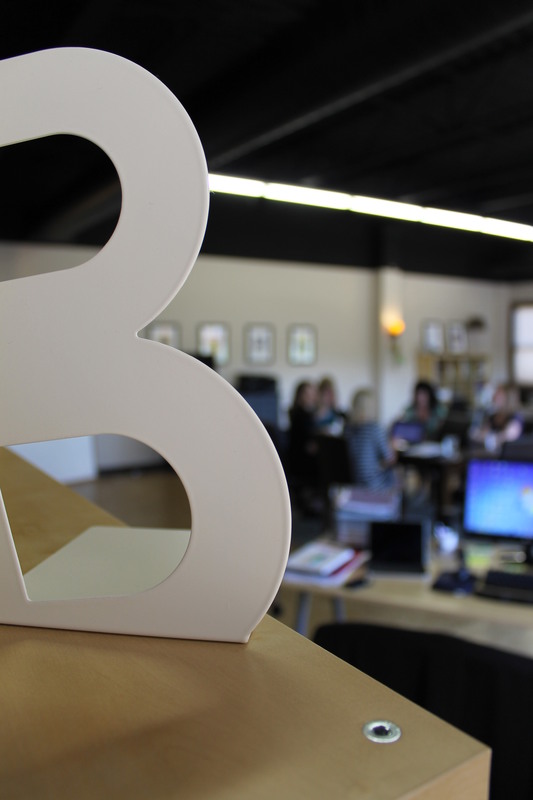 As a small agency, you help clients with all facets of PR—media relations, community relations, digital, Web. You name it. My question: How do you stay on top of it all with a team of just six? BRIAN: It can be a challenge – we try not to overextend ourselves. I think there are a lot of efficiencies in approaching each client’s marketing from a holistic point of view. The variety is what keeps us energized, and it helps that each of the partners has 15 or more years of experience, so we know how to juggle. When need be, we partner with other experts we know and trust, which helps us meet our clients’ goals while also helping us to stay nimble. We are also tactic-agnostic, and aren’t afraid to suggest a strategy or approach that we believe will generate great results. We try to break down silos whenever we can and take an integrated approach. So far, it’s really paying off. 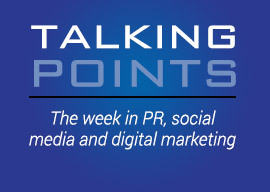 Finally, what’s next for Bellmont Partners PR? Do you see yourself growing into a midsized agency down the road? Or, are you planning to stay small and a bit more nimble? JEN: I think we’ll always be smaller – and definitely do everything possible to stay nimble. But there’s a lot of room for growth. We’re continuing to look for talented people to join our team, and whether that’s two or three more people or 10 more people remains to be seen based on our clients’ evolving needs. Either way, it’s an exciting time to be working in this industry and we look forward to achieving this year’s goals for our clients and then determining what comes next. @jenbellmont @arikhanson Congrats on nice feature. Fun to see you and your offices.